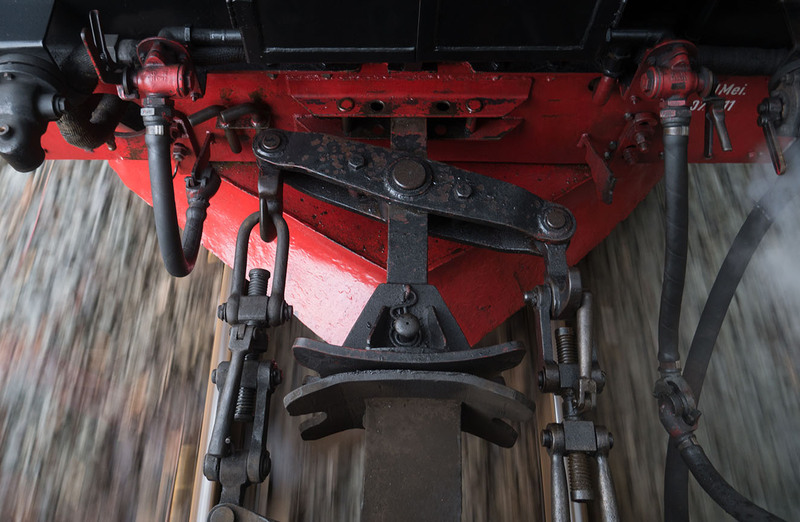 After returning from India I wasnt planning on doing alot of rail photography in Germany but one place on my must do list was the Brockenbahn. The line is an exceptionally scenic narrow gauge line that runs entirely with steam power. The line ends at Brocken summit which is the highest peak in northern Germany and is covered in snow most of the winter. Brocken could be described as the Mount Washington of Germany, with spectacular views on a clear day but on most days its shrouded in cloud cover. I kept a close eye on the forecast and finally the conditions looked right with an improving forecast showing initially one then two days of sun. 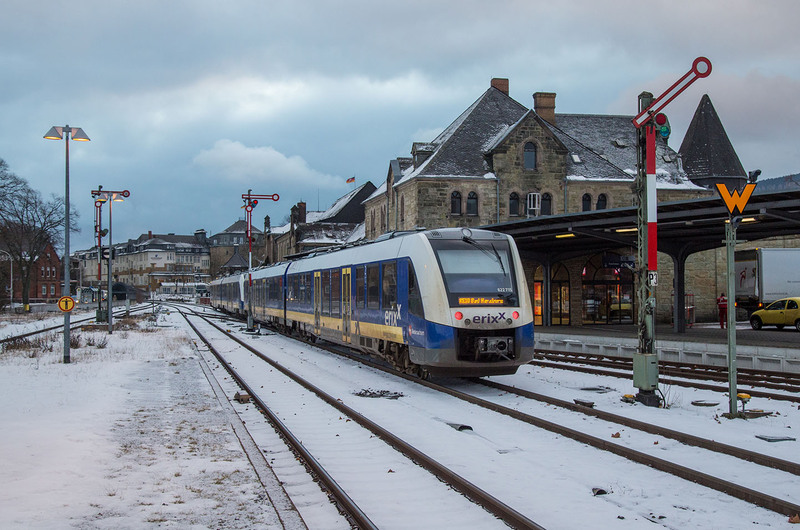 I scrambled to book DB saver tickets and hotel reservations in Wernigerode which were surprisingly difficult to find on account of the winter ski tourism. 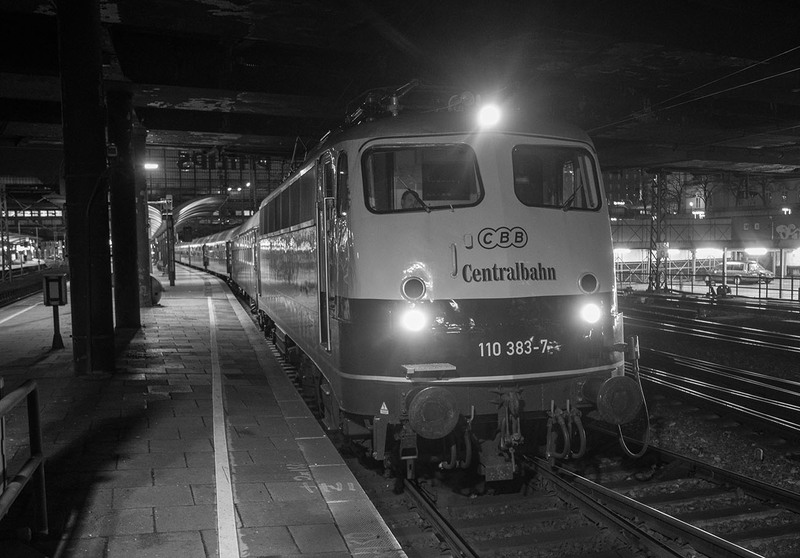 So with everything ready I headed out at 430 AM from Hamburg to catch my ICE to Hannover and then two DMU’s to reach Wernigerode. On the platform was a nice surprise, a E10 with a rake of vintage blue and cream coaches from the Centralbahn forming the Pappnasen Express, a Mardi Gras party train. 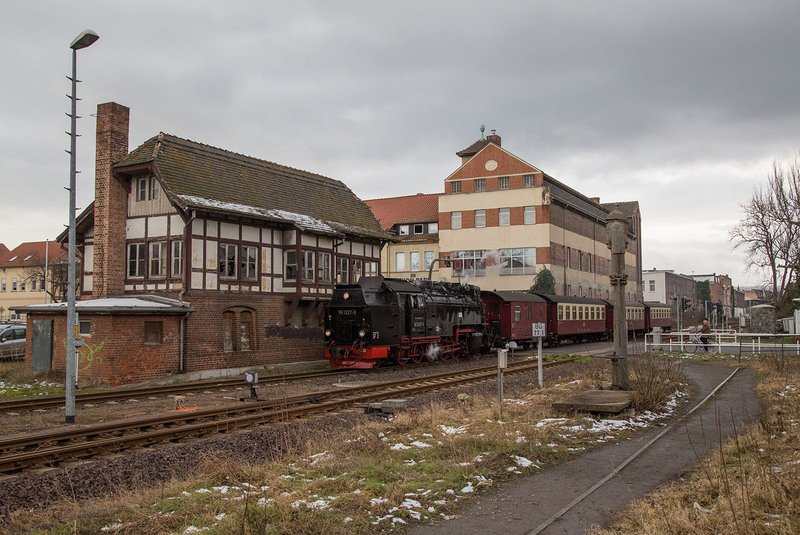 I had initially planned to spend the day around Wernigerode but seeing the weather I decided to use the cloudy day to explore the Selketalbahn so booked another ticket onwards to Quidlingberg. At Goslar I was greeted by a classic stone station and a nice arrayof semaphores, other than the trains its amazing how little some railway scenes have changed since the days of steam in the former GDR. I had an hour in Quidelingberg so I wisely went to purchase a heavy coat which I very much needed for the following days on the Brocken. 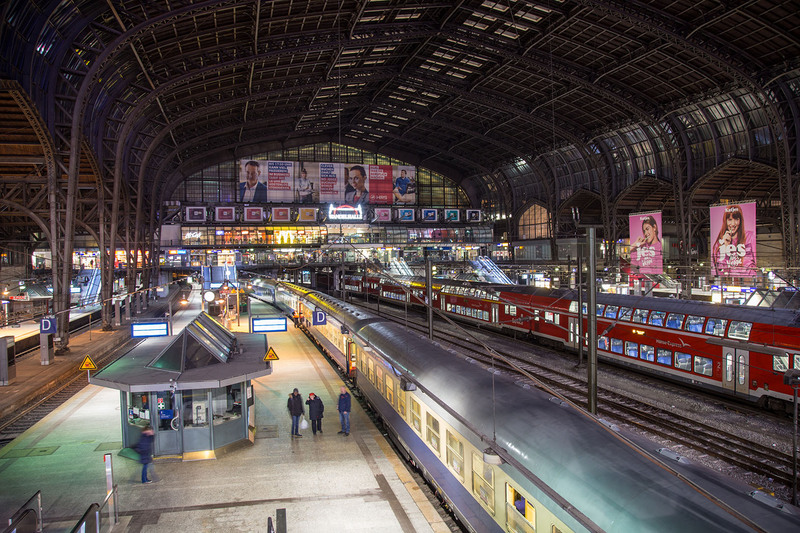 Quidlingberg had a large once grandious station but like many places in the east it was largely vacant and derelict, a sign of the declining importance of the railway after the the fall of the Berlin wall. The first stretch of the Selketalbahn is unique in that its one of the few places where a standard gauge line has been converted to narrow gauge. The Selketalbahn once terminated in Gernrode where it connected to the standard gauge Quidlingberg to Frose line. However amid the massive branchline closures following German reunification DB decided to close the line in 2005 and the HSB acquired the Gernrode to Quidlingberg section for conversion. At many stations abandoned standard gauge sidings still lie weedgrown to the side. 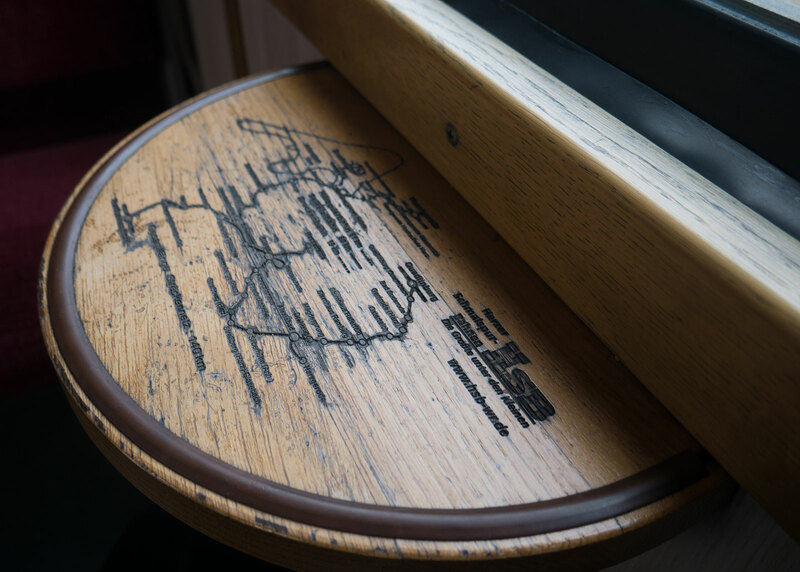 A map of the HSB engraved in the coach tables, the Selketalbahn can be seen closest to the camera. 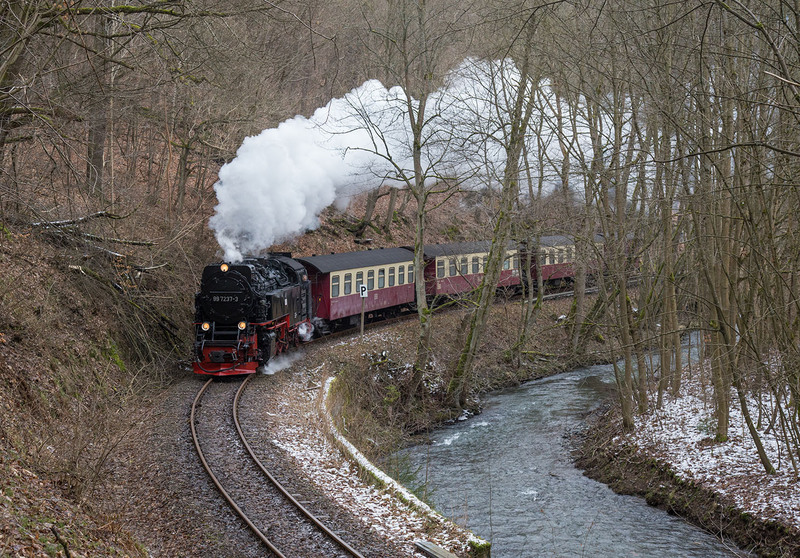 The morning steam service only goes as far as Alexisbad where it runs around and heads back to Gernrode. I decided initially to continue on via DMU towards Eisfelder Tamule but had second thoughts and returned to Alexisbad to catch the same steam service which would later run to Nordhausen. Other than the two daily steam services the line is well served by single unit DMUs, outside of the steam trains the HSB is still very much a real railway. 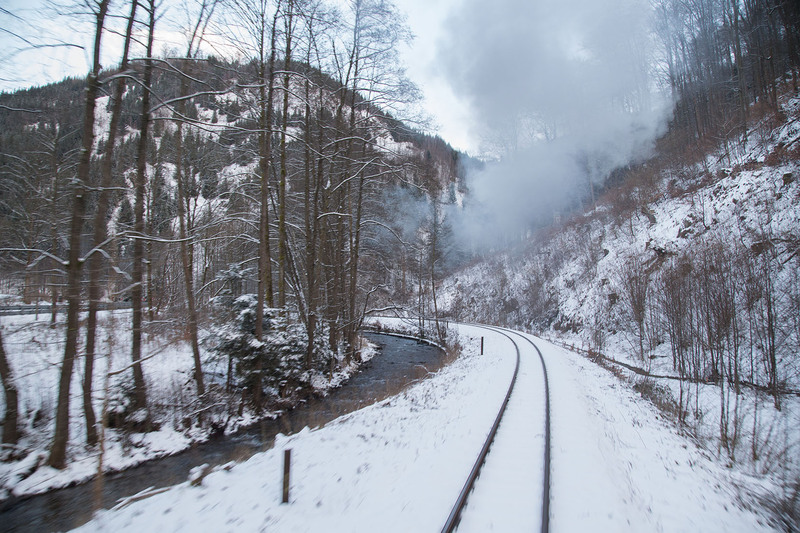 At Steige the steam service makes a round trip up the branch to Hasselfelde, this segment is quite different from the rest of the route, travelling up a steep grade but through wide open and today snow covered countryside. After taking on water we then continued down the very steep grade to Eisfelder Tamule where a very interesting steam meet occurs. 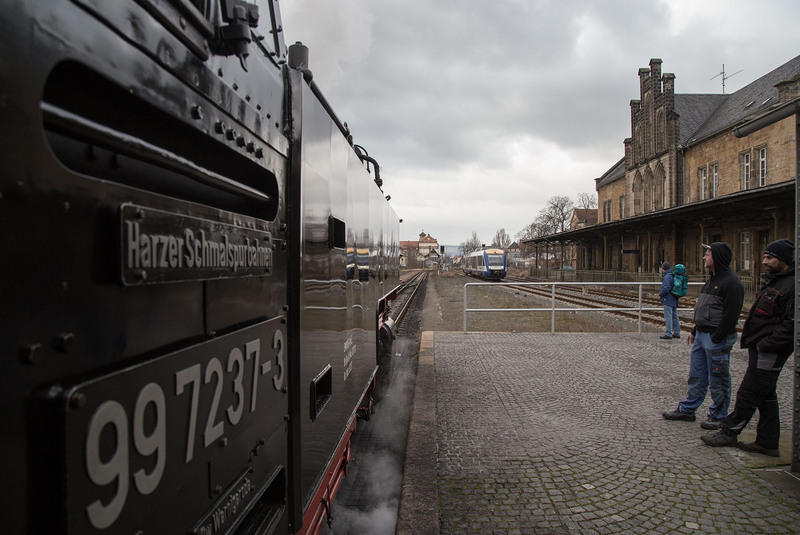 The train from Brocken and Gernrode arrive near simultaneously and then depart in the same fashion, my train going back to Gernrode where the loco is stabled and the other towards Nordhausen. 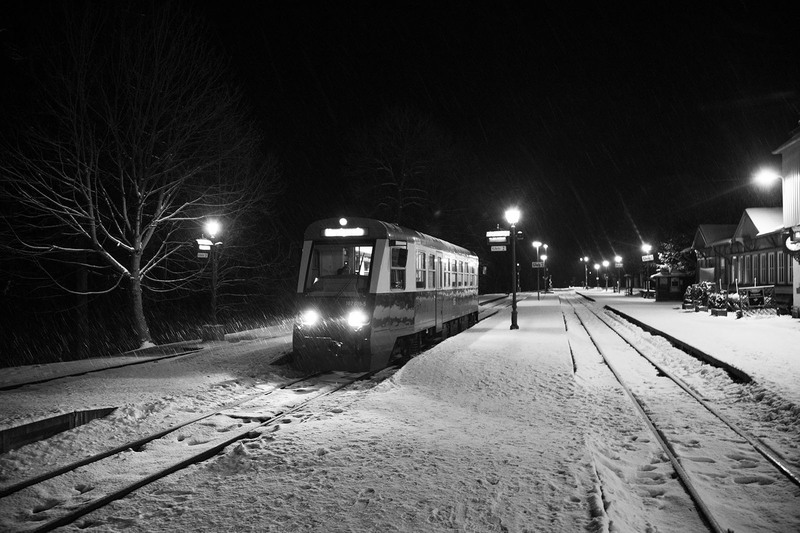 I wanted to go to Wernigerode that night but as it was rather cold and there was nothing around to eat in Eisfelder (it is as the name describes a “field of ice”) I continued on to Ilfield where I was the sole guest at a hotel restaurant, winter is evidently not peak tourist season in this part of the Harz! 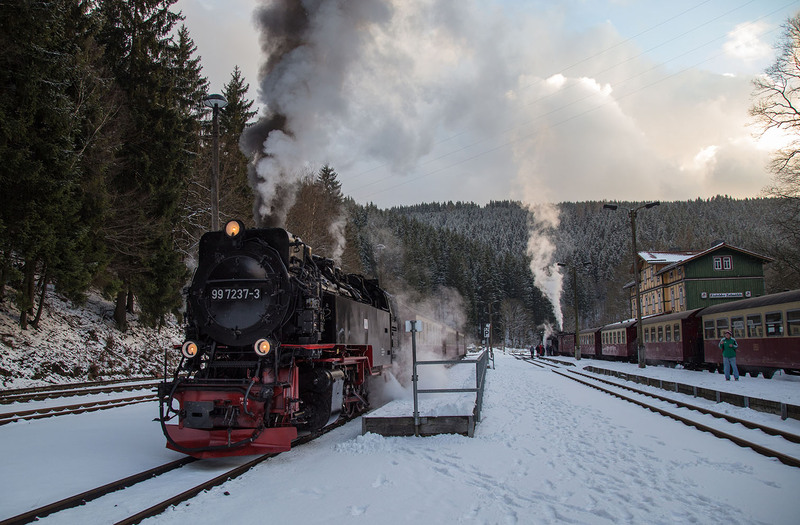 The setting sun shines a little light on the snowcoverd Eisfelder Talmühle station as the two steam hauled trains prepare to depart for Nordhausen and Gernrode. 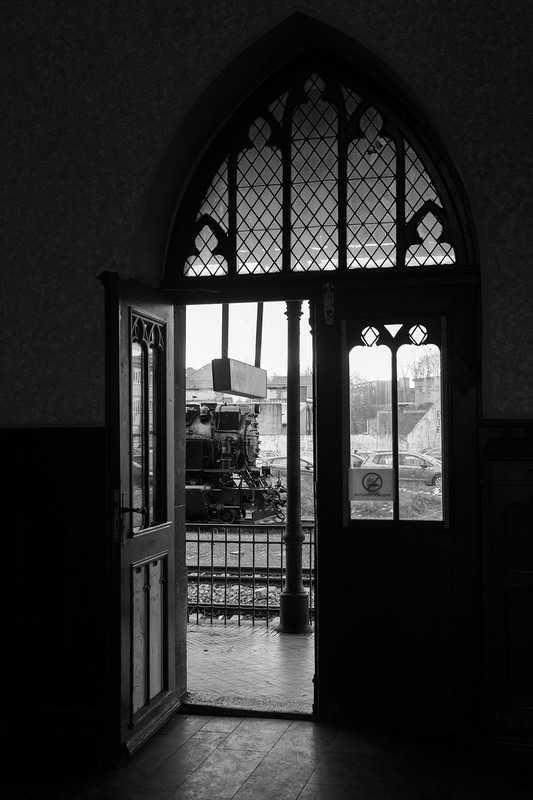 Just like in the restaurant I was the only person aboard the last train to Wernigerode, we halted for several minutes at Drei Annen Honne and I stepped out to photograph my lonely train at an equally lonely station. The snow was still coming down, a good sign for tomorrows photography on the Brocken. At 2030 I finally arrived at Wernigerode, checked into the hotel and went to bed as I knew it would be an early start tomorrow. 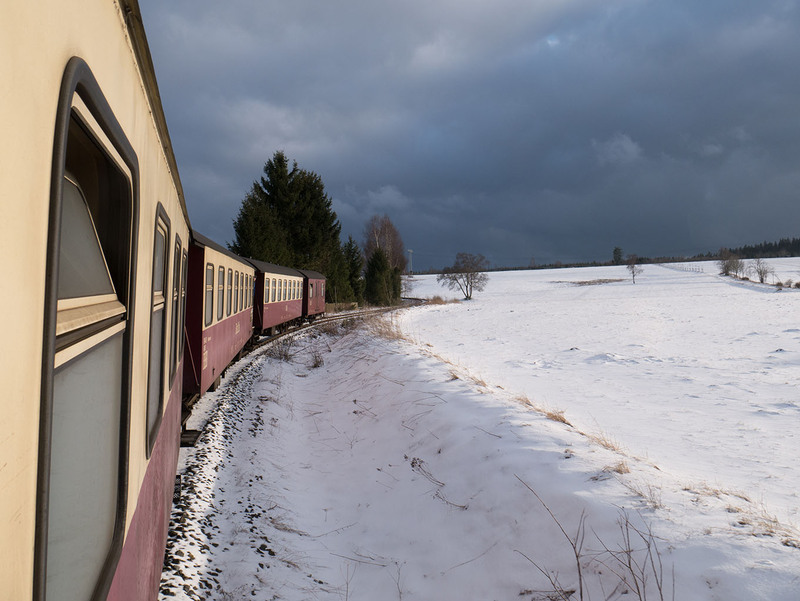 The next part will cover the trip to the Brocken for two days of steam, sun and snow!